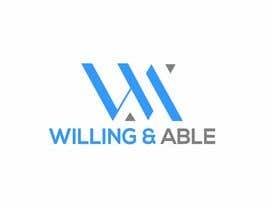 Logo for "Willing & Able"
We are "Willing & Able" and I want a logo that makes this point. DONT UPLOAD ANYTHING THAT CONTAINS ANY FREE GRAPHICS, WE NEED A INDIVIDUAL DESIGNED LOGO. WE WANT A REAL GOOD LOGO. what you want you dont like anything man !!! Hi, Please give more details about your company/business nature. Thanks.